We are a small friendly village club who welcome new members. Being a member entitles you to use the facilities at any time. 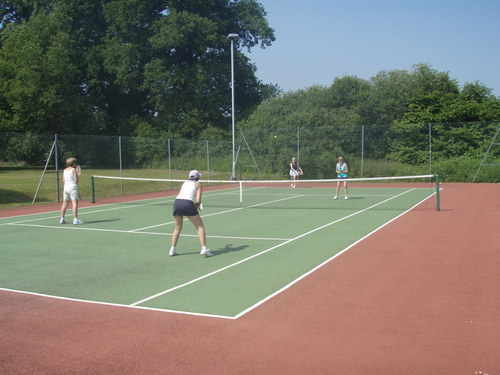 There are three hard courts and these can be booked up to 1 week in advance. We have a small clubhouse where several social events are organised. 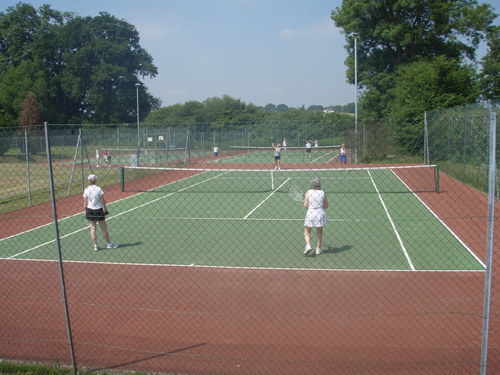 There are tournaments throughout the year and a programme of social tennis. The Social Tennis sessions are on Wednesday evenings at 6.p.m. (The Club now has FLOODLIGHTS so we can play throughout the year.) Also Thursday mornings at 9.a.m and Saturdays at 2pm. We have Lawn Tennis Association Mens and Ladies Teams as well as a Ladies rota on Monday and Tuesday mornings and Mens social on Sunday mornings.